Aspirants who wanted to pursue there Masters in Business administrative can fill the form of MAH CET 2018 for the admission in 400 colleges of Maharastra. MAH CET 2018 Entrance exam is a computer based exam of 21/2 hours (150 minutes) duration. All question would be objective type consist 200 question. After appearing in MAH CET Entrance exam aspirants can take admission un the best of 400 colleges in Maharashtra. For the all India candidates who are wanted to appear in the MAH CET 2018 there is 15% to 35% seat allocation is available in exam. These candidates will also be offered admission on the basis of their scores in two All India MBA entrance exams – CAT 2017 and CMAT 2018. MAH-CET 2018 notification release for all the courses, MAH MBA/MMS CET 2018 registration and application has opened on January 22, and will close on February 14, 2018. MAH CET 2018 exam for admission to MBA/MMS 2018-20 batch will be held on March 10 & 11, 2018. Declaration of MAH CET 2018 result on March 19, 2018, Directorate of Technical Education DTE Maharashtra will start the counseling process known as – Centralized Admission Process (CAP) to allotment of seat for all the participating MBA colleges inbetween of mid May to first week of june . the merit list will be released after the verification process of documents of the qualified candidates . This will facilitate the B-school allotment process. Final Merit list is proposed to be declared in the second week of June 2018. All the top colleges of Maharashtra offering MBA course will participate in CAP round. It will include colleges like JBIMS Mumbai, SIMSREE, PUMBA, K J Somaiya . aspirants will get admission in their choice of college on the basis of seat matrix and B-school alloment through DTE-CAP 2018. Immediately with the The State Common Entrance Cell – DTE Maharashtra will conduct the MAH-CET 2018 and has announced the MAH MBA/MMS CET 2018 exam schedule which will be held on Match 10 & 11, 2018 across the country. The Government of Maharashtra has established “ADMISSIONS REGULATING AUTHORITY AND STATE COMMON ENTRANCE TEST CELL” as per the provisions of the Maharashtra Unaided Private Professional Educational Institutions (Regulation of Admissions & Fees) Act. 2015 (Mah. Act No. XXVIII of 2015). The Commissioner of State CET Cell is Competent Authority for conducting CETs. As per the notification published by DTE Maharashtra ref. 2A/ADM/MBA-MMS/2017/1221 dated October 18, they declared that the all india candidate who wanted to take admission in Maharashtra’s B-school The scores of XAT 2018 conducted by XLRI, MAT conducted by AIMA or scores of ATMA will no longer be considered . they can only take admission on the basis of MAH-CET, CAT and CMAT. MAH-CET 2018 would be an online computer base exam for admission to AICTE approved MBA/MMS/ PGDM courses 2018-20 batch in 400 MBA colleges across the state of Maharashtra. No structural and content based changes in MAH CET 2018 are announced by DTE Maharashtra. The test will be conducted on 2 days March 10 & 11, 2018 divided in multiple slots. MAH MBA-CET 2018 is an online computer based test. The duration of test will be of 2 and half hours. The test will consist of only objective type Questions (MCQs). There will be 200 question in the test . The tests will be provided in English only. The will be not any kind of negative marking for wrong answers. Exam will consist of 3 sections which will consist Reasoning , quantitative aptitude and verbal ability . One Ball point pen and a pencil. Persons with Disabilities (PWD) should bring duly filled Scribe form if applicable. Candidates who have successfully filled the form of MAH-CET 2018 will be able to download the admit card from February 26, 2018 from the official website of DTE Maharashtra. The admit card will be downloadable till the exam date of MAH CET 2018 . Only successfully Registered candidates for MAHCET 2018 will be able to login on DTE Maharashtra website to download their MAH MBA/MMS CET 2018 admit card with their registered MAH-CET 2018 ID and password. 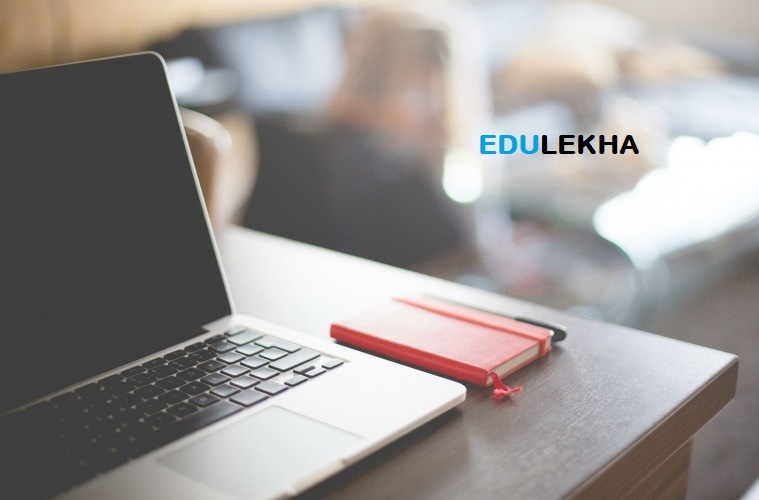 Candidate will login with your MAH CET 2018 registration number. Enter your Password( Date of Birth) to download the admit card for MAHCET 2018. The format of Date of Birth should be entered in DD-MM-YY. Insert the verification code to view and download the MAHCET 2018 Admit Card. Note : please ensure that all the details are available in the admit card and if you find any information incorrect or missing, please immediately contact the DTE Maharashtra helpline. Photograph & Signature: The admit card must have your photograph that you uploaded. Seat No: The allotted seat number . Without the photo identity proof, you will not be allowed to enter the test venue. Please note that Ration Card is not valid id proof for MAHCET 2018. Quant is good scoring test. Make sure to hit the maximum in it. The result of MAH CET 2018 will be declared on march 19, 2018. This is also expected that the resut will be released before the announced date. DTE Maharashtra will start Centralized process (CAP) 2018 almost after 2 month of result declaration of MAH- CET 2018. CAP counsilling round will be have the following process. A Merit score will be generated separately for MS category and OMS category candidates by State CET cell on the basis of written exam score, academics, work experience and other factors considered in admission round. On the basis of merit score, MBA/MMS 2018-20 batch Seat allotment in the MBA colleges in Maharashtra to Mahashtra state (MS) and Outside Maharashtra State (OMS) candidates will be made. CAP consists of many rounds of admission and the candidates, if they do not join a lower rung MBA college despite scoring good score, may get an opportunity of being upgraded to better MBA college. Candidates who have registered earlier and paid the fee, but did not appear in MAH CET 2018, you can login as already registered candidate. the most important changes, which DTE Maharashtra has announced this year is that only the candidates who have taken CAT 2017, CMAT 2018, GMAT and MAHCET 2018 are eligible to participate in CAP 2018 for admission to MBA programmes in Maharashtra B-schools. After declaration of MAH CET exam result for MBA admission, the Directorate of Technical Education (DTE) Maharashtra will announce the Centralized Admission Process (CAP) 2018 schedule. CAP 2018 will be conducted in the month of May 2018 at number of MBA colleges in Maharashtra called Facilitation Centres (FCs). CAP 2018 will be conducted in 4 rounds. The process will consist of Online Application submission; Option form submission, document verification, counselling alongwith brief GD-PI, generation of merit list and allotment of MBA seat. Final allotment of seats will be based on your scores in MAHCET ; CAT; GMAT, CMAT exams, academics & other parameters leading to merit score in CAP round. All India Candidature Seats: The Candidates who is having All India Candidature shall be eligible for these seats. Minority Quota Seats: The Candidates who is having Minority Candidature shall be eligible for these seats. These seats shall be filled in accordance with the various provisions of the Act. Institutional Quota Seats: The Institution can admit Eligible Candidates against 20% of the Sanctioned Intake. The maximum 5% seats may be filled in from the NRI Candidates, only if it is approved by the Appropriate Authority at the Institution level. The candidates securing Non Zero Positive marks(should not be zero or negative )/score in MAH-MBA/ MMS-CET 2018 or GMAT/CAT/CMAT will be eligible to get admission to MBA/MMS/PGDBM/PGDM course in the State of Maharashtra through CAP round. Candidates need to fill Online Application Form for participation in the Centralised Admission Process (CAP) 2018. There should be Confirmation of Online Application Form and Document Verification and counselling along with brief Group discussion , Personal Interview at Facilitation Centre by the Candidate in person. It should be Display or publishing of Provisional merit lists, Submission of grievances, if any, and Display or publishing of Final Merit Lists. There will be Display of available Category wise Seats (Seat Matrix) for CAP Rounds I, II and III. Candidate need to Fill up and Confirm the Online Option Form which would have the preferences of Courses and Institutions before CAP Round I according to their choice. Candidates may fill in choices of Institutes and Courses in decreasing order of their preference as specified by Competent Authority. The option form once confirmed shall be considered for allotment in CAP Round I, II, and III. Display of Provisional Allotment of CAP Round I, II, and III indicating allotted institute and Course. The seat allotment will be based on your scores in MAHCET; CAT; XAT; GMAT, MAT; CMAT; ATMA exams, Academics & other parameters leading to merit score in CAP round. Candidate need to report at their Admission Reporting Centre (ARC) for the acceptance of seat allotment in CAP Round , II, and III. DTE will set up around 190 FCs in different MBA colleges of Maharashtra to appear for DTE CAP 2018 for admission to MBA/MMS 2018-20.